Start your journey to a Merry Christmas! Santa's coming and this year he's bringing 100 beautiful photos, more than 6 hours of gameplay, unique game modes, saves, trophies and much, much more. 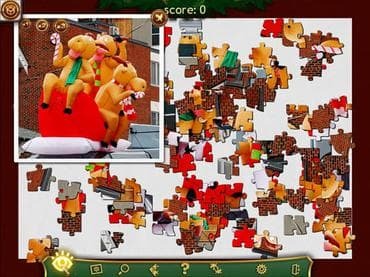 Holiday Jigsaw Christmas is a fun, relaxing jigsaw puzzle game that's destined to fill all jigsaw lovers with tons of holiday cheer! Download free full vetsion game and start your journey to a Merry Christmas now! Free Game features: - Over 100 beautiful jigsaw puzzle payouts; - Unique game modes; - Save and Load your progress; - Relaxing jigsaw puzzle game; - Free full version game without any limitations. If you have questions about Holiday Jigsaw: Christmas game, please contact us using this form.